Back in 2017 the record for large office leases was broken when 20 were signed and office tower space was filling up fast. It was predicted that the age of very big office leasing was finished in SF. However, 2018 is continuing the blistering pace of the whale office space lease deals. So far, fourteen deals have been inked on spaces larger than 100,000 square feet – according to a story in bizjournals.com. Standing on top of all the other deals is the 756,000 square feet deal in Park Tower signed with social media behemoth Facebook. Park Tower is one of two new office buildings coming online this year. It won’t be until 2020 that the next large scale office space building opens to tenants. 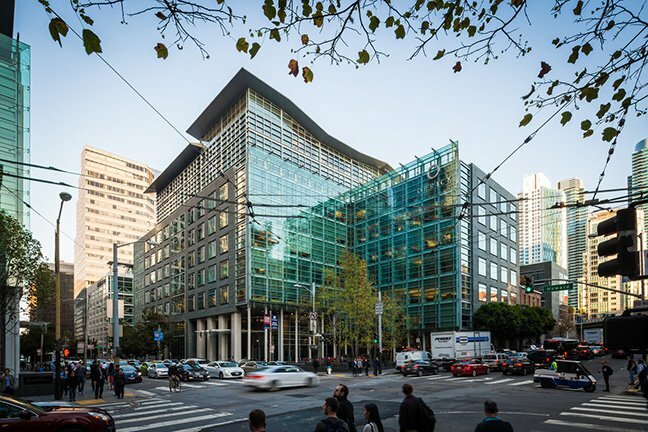 Other big office leases in SF this year include: WeWork leasing 103,000 square feet in 1 Post St; iRhythm took up 120,000 square feet in the Zynga headquarters building; Amazon grabbed 143,000 square feet in 535 Market; Twitter reupped for 215,000 square feet in 1355 Market St.